Google has introduced a premier edition of Google Apps (formerly Google Apps for your Domain) that costs $50 per user per year. A 10 GB Ads-free GMail Inbox, 24/7 Phone Support and a 99.9% uptime guarantee makes the offer very attractive overall. » Google Apps Premier offers 10 GB of email storage space but there isn't an option to buy a bigger Inbox. » No support for syncronization between Google Calendar and Microsoft Outlook or other PIM software. 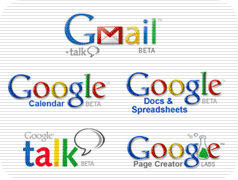 »Google Presently (web based clone of Microsoft Powerpoint) is not a part of Google Apps yet. » Google Talk doesn't offer features like Voice conferencing and Video Chat. » FTP Support in Google Page Creator - you still have to manually upload HTML files and web graphic to Google Pages using their web-based interface. » Cannot create sub-directories in Google Page Creator. As the number of files in the root folder grows, it may become tough to find and manage them. » If there's a problem in your internet connection, all your documents or email will be inaccessible during the downtime. » Google Apps not yet connected to Picasa Web Albums or Blogger for Custom Domains. » Gmail, Google Talk, Google Calendar, Docs & Spreadsheets and Google Page Creator are exactly the same in both free and premier editions of Google Apps. No exclusive features for paying customers. The good news is that Google continues to offer a free edition of Google Apps for non-business users and families. You won't be missing anything by not upgrading to Google Apps Premier.